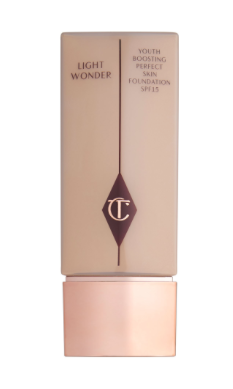 I recently purchased the light wonder foundation from Selfridges after seeing it appear on many blogs. I think foundation has to be my favourite beauty product that I always like to try. Having dry skin makes it tricky sometimes to find a foundation that does not stick to dry patches or look cakey on the skin. I have had the Wonderglow primer and the airbrush flawless finish powder since Christmas so I thought it was about time to complete the trio. I have to say that I am impressed! The foundation has SPF 15 and is a light foundation that hydrates the skin without looking too thick. I really like this with the wonder glow primer underneath as it adds a lovely dewy finish that lasts really well. I use the powder just on my T zone to stop any shine. Here is a photo of the foundation without any primer or powder to give you a true picture.